users are able to communicate and collaborate inside their mobile app. 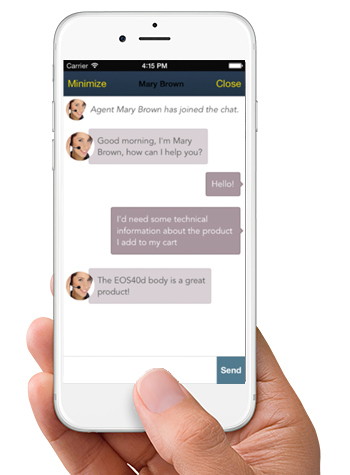 Easily integrate chat, voice and support directly into iOS and Android Apps. Add realtime support to HTML5 – CSS3 responsive sites in one click. Provide social media customer service via Facebook Messenger. Make it quick and easy for customers to access real-time support while shopping online via desktop and mobile devices. Seamless, non-intrusive, and intuitive interfaces provide the engagement experience that will lead to greater conversion and incremental revenue. of online customers expect brands to provide mobile customer service. of customers who made a mobile transaction within the last year reported a problem. of online shoppers will not complete a mobile purchase after experiencing a problem. Decide when and who to engage based on a wide variety of rules, and contact center resources availability. 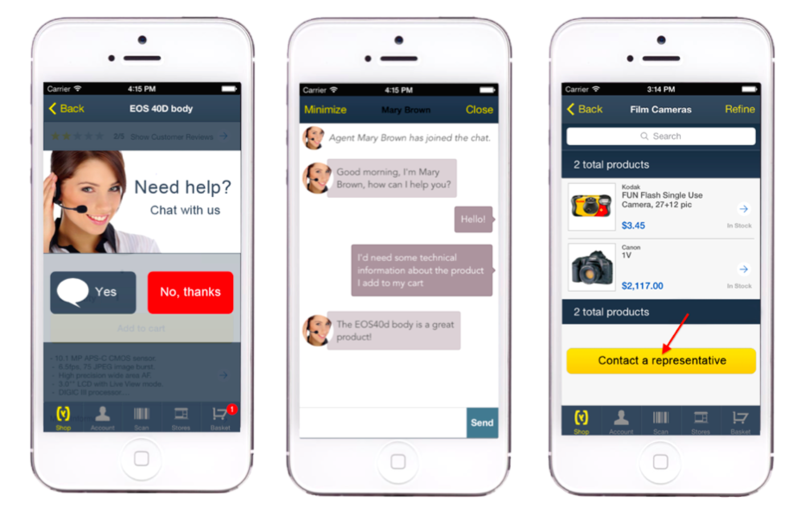 Easily integrate chat or voice support directly into iOS and Android Apps or HTML5 – CSS3 responsive sites. Increase first call resolution with screen sharing, page pushing, and other advanced tools.